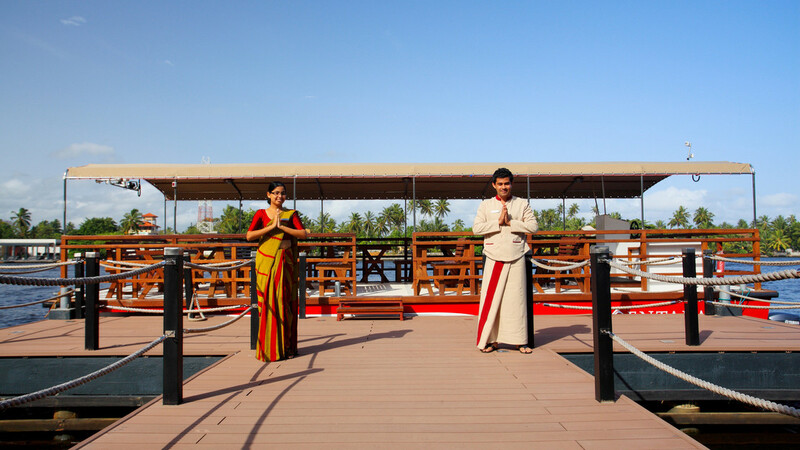 Board the barge on peaceful Bentota River, and sail into Centara Ceysand’s tropical world of rest and relaxation. This secluded spot is perfectly situated between the mangrove-lined river and the sapphire waves of the Indian Ocean. Accommodation here compliments this stunning natural beauty, featuring elegantly designed rooms that offer the ultimate in comfort. The hotel welcomes people of all ages, with options of romantic sea views for couples and fantastic family suites. Extensive facilities offer you the chance for fun-filled active days of wild water sports and boat trips to discover more of the area’s wonders. 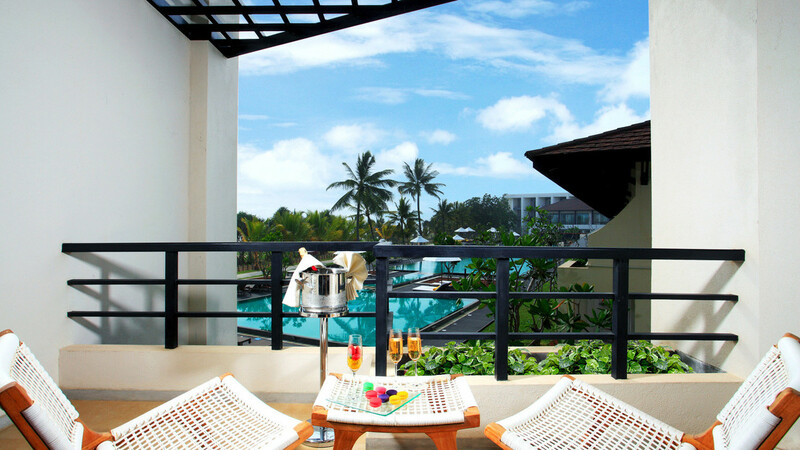 Or choose to put your feet up and relax in the laid-back atmosphere by the pool. Camp Safari Kids’ Club will provide hours of fun for little ones, leaving parents free to unwind at the fabulous SPA Cenvaree. Dining at Centara Ceysands Resort and Spa is an adventure of flavours that makes the most of Sri Lanka’s local produce. Enjoy evenings filled with live music and freshly prepared cocktails at the bar in the warmth of Sri Lankan hospitality. 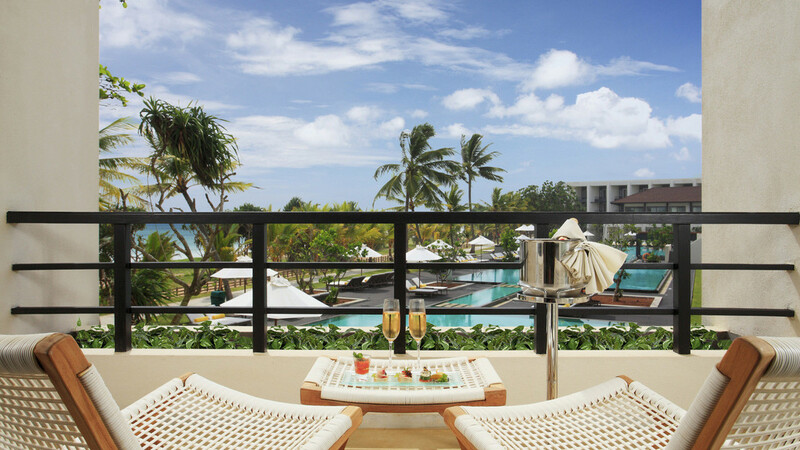 With its superb location and beautifully luxurious accommodation, a stay at Centara Ceysands Resort and Spa offers an authentic experience you’ll never forget. 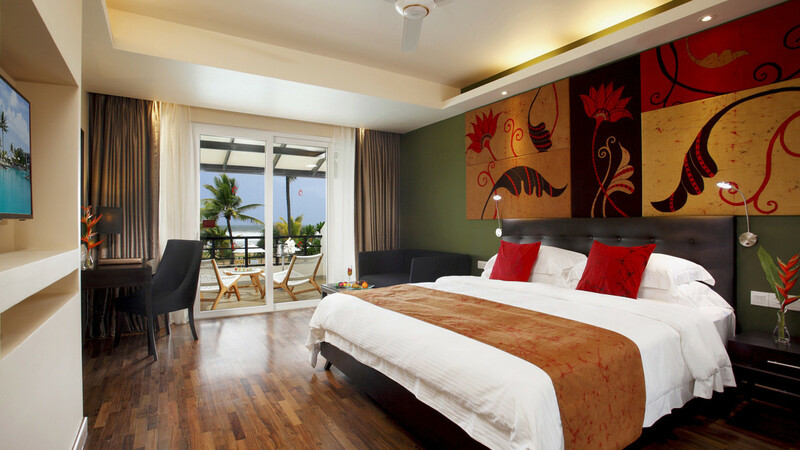 Centara Ceysands Resort and Spa is located on the beautiful stretch of golden sand that is Bentota Beach. The resort offers a variety of water sports to enjoy in the sea, or on the tranquil waters of the Bentota river. This hotel is a resort in itself with several restaurants, a spa and a beautiful beach. Aluthgama train station is just a short walk from the barge boat that takes you into Centara Ceysands Resort. Kande Viharaya Temple, with the huge Buddha statue is about 3km away. Resort staff can help you plan tours and visits to some of the most popular tourist attractions across Sri Lanka. 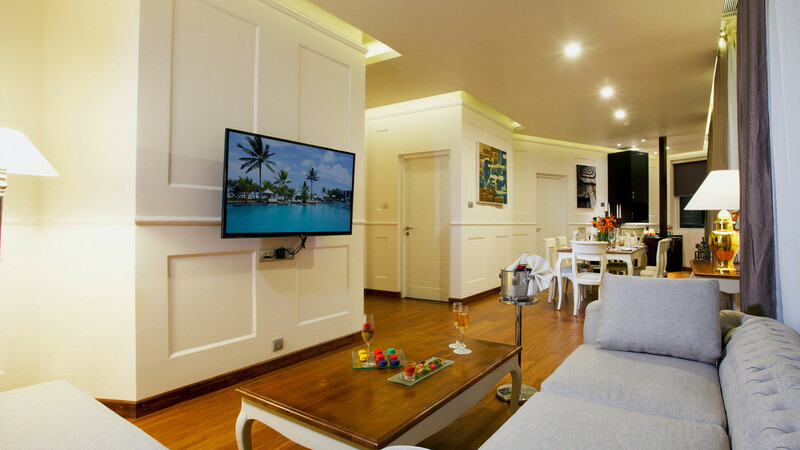 Colombo International Airport is approximately 100km away from Centara Ceysands Resort and Spa. 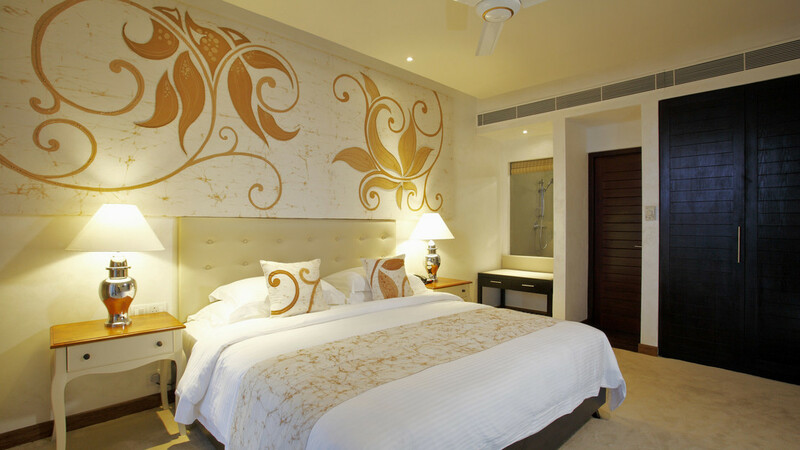 Experience the royal treatment in this stunning suite, elegantly designed with splashes of gold. 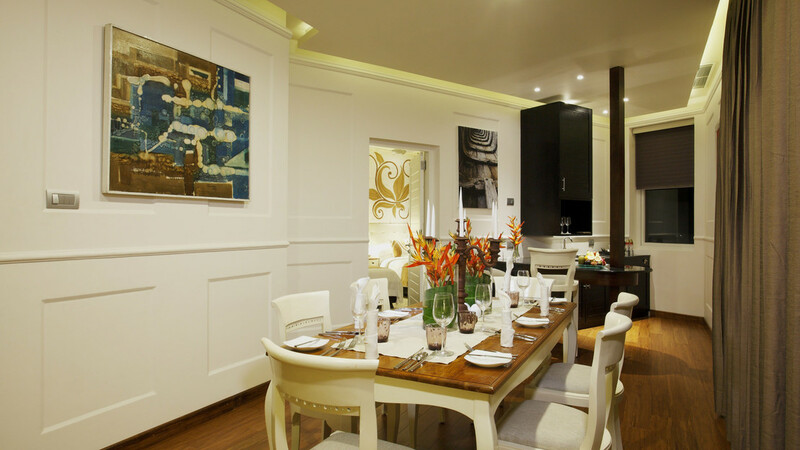 The Royal Suite features an extensive living space that perfect for comfortable dining and relaxing with friends and family. There’s a king size bed in the master bedroom and 2 generously sized twin beds in a separate bedroom. 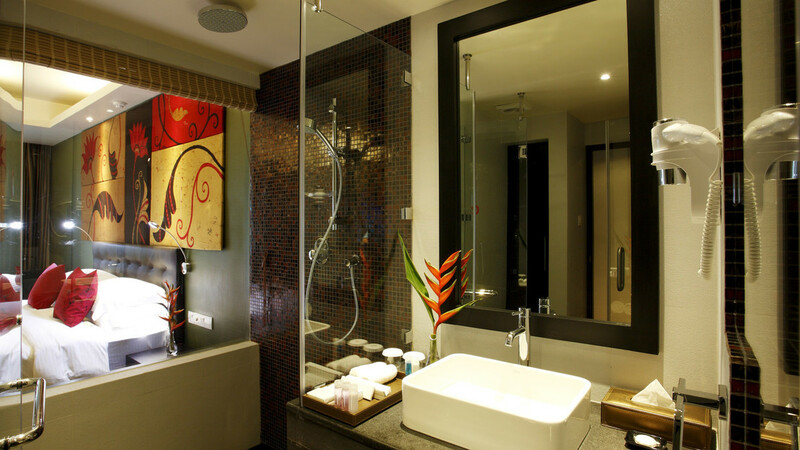 The large en-suite bathroom has the additional bonus of a private Jacuzzi. 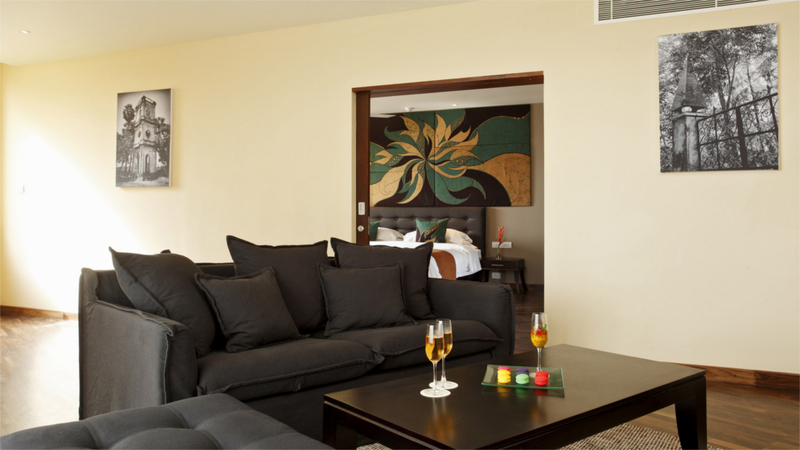 Maximum capacity in the Royal Suite is 5 adults, or 4 adults and 3 children. Wake up to a picture-perfect seascape across the Indian ocean, in one of these comfortable and spacious suites. They’re situated on a higher floor, so boast some of the best views of the resort. Beautifully designed to celebrate the hotel’s setting between river and ocean, they offer a truly tranquil space for your holiday. 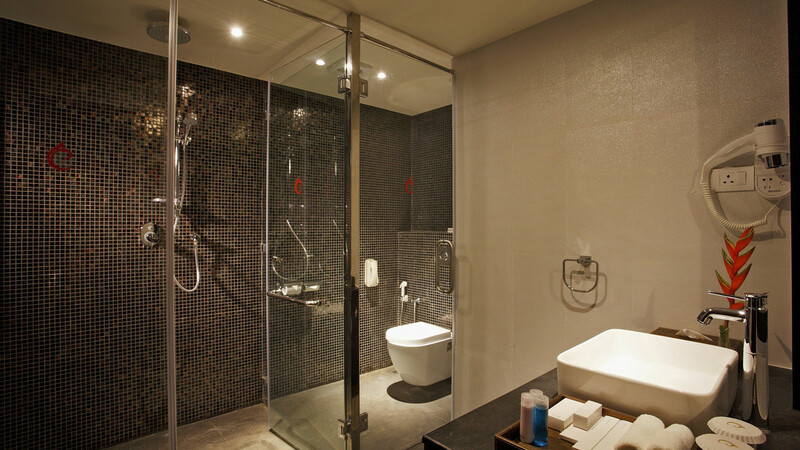 The bathroom features both bathtub and a separate shower. There’s a king size bed and a single bed, giving capacity for up to 3 adults, or 2 adults and 1 child. 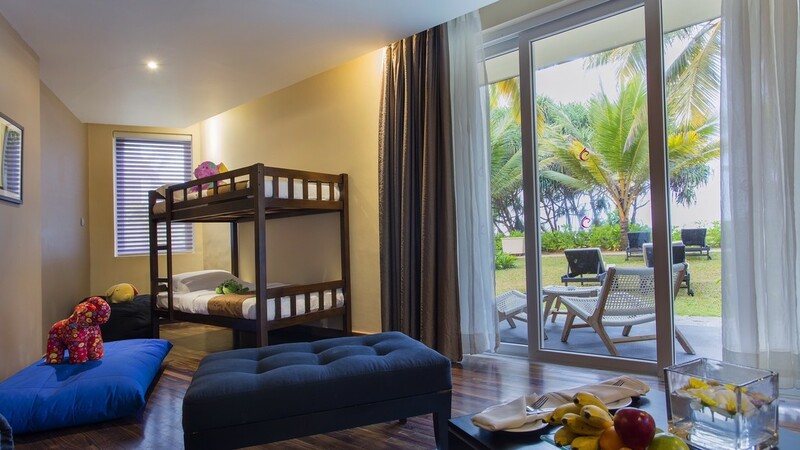 Centara Ceysands Resort and Spa prides itself in being a great destination for families, and these rooms are perfectly designed with this in mind. Comfortable bunkbeds for children and a king size bed you can sink into at the end of the day, make it a wonderfully relaxing choice. 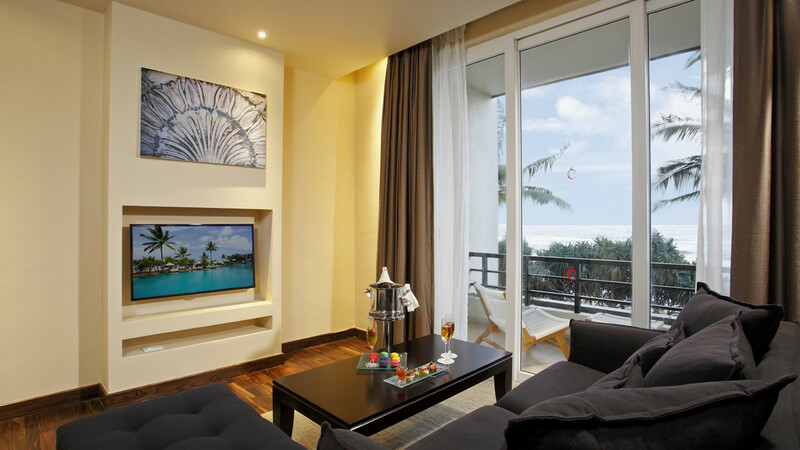 There’s a spacious living area and a balcony to enjoy some magical moments together on your dream holiday in Sri Lanka. The maximum capacity is 2 adults and 2 children. Situated in the best location for an early morning swim, the Deluxe Poolside Terrace is just steps away from the refreshing waters. 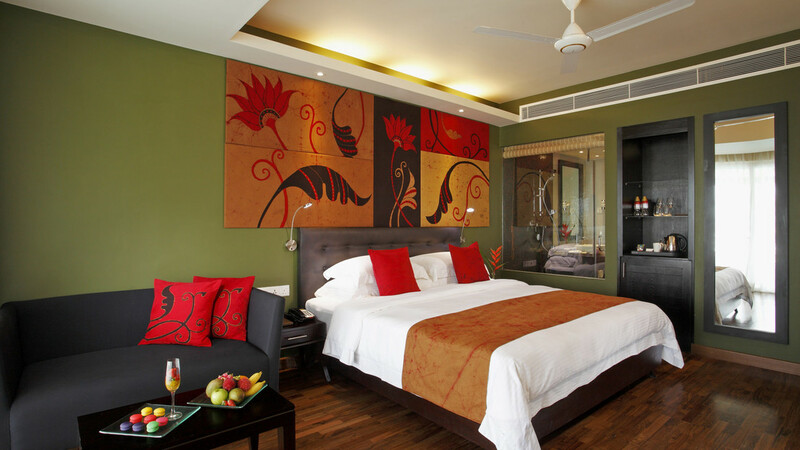 Featuring a classy, minimalist design with earthy colours, this comfortable room has a feeling of calm and serenity. Including either a king size bed or 2 double beds, there’s a maximum capacity of either 3 adults or 2 adults and 2 children. 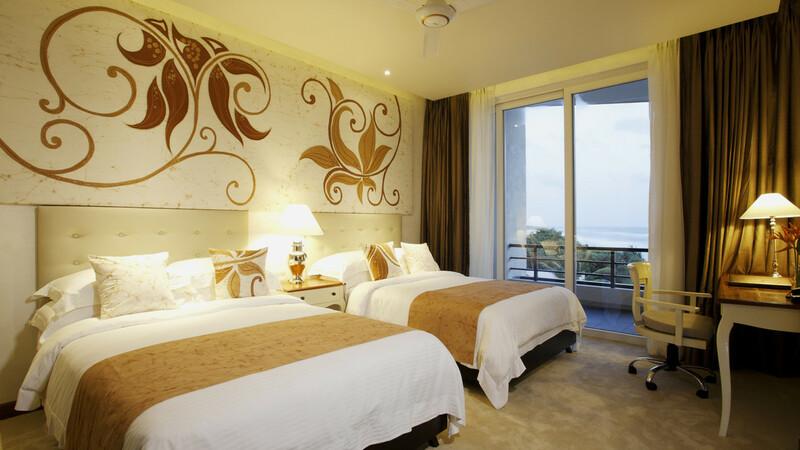 Featuring stunning views across the ocean, these deluxe rooms have a special touch of tranquillity. Spacious and designed with beautiful deep, earthy colours, they’re a romantic choice for couples looking for a memorable break away. Settle in with a cool drink and enjoy a magical sunset from the comfort of your private balcony. The room includes either a king size or a double bed, and the maximum capacity is 2 adults and 2 children. 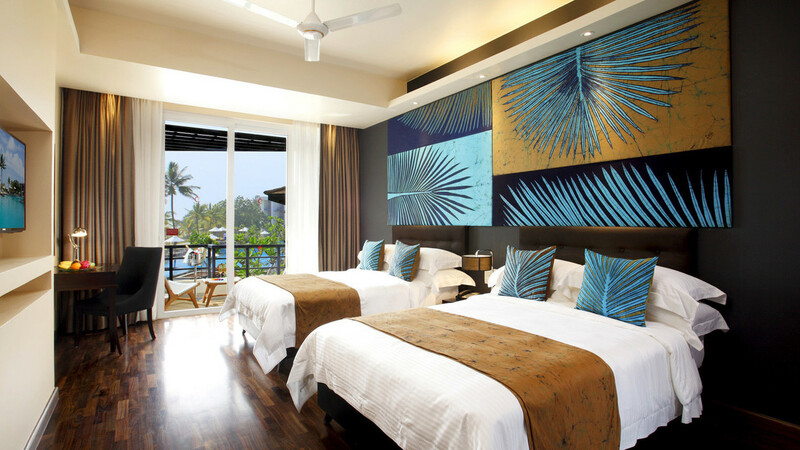 Decorated in a unique contemporary style, with vibrant splashes of colour, the Superior Ocean View offers a bright and airy space to settle into your holiday. There’s a combination of a side view of the ocean and views of the swimming pool from the private balcony. Furnishings include either a king size bed or a double bed, and there’s the possibility of adding an extra bed in some rooms. The maximum capacity is 2 adults and 2 children. 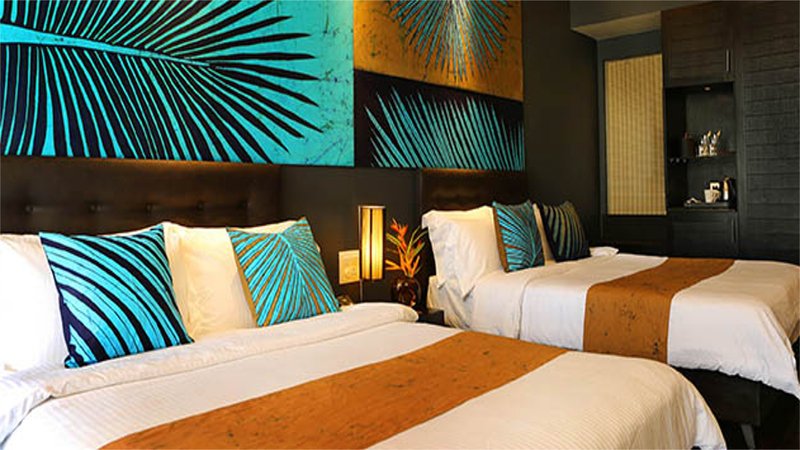 Featuring a vibrant, eclectic design with comfortable furnishings the Superior Rooms are a fabulous choice for your Sri Lanka holiday. 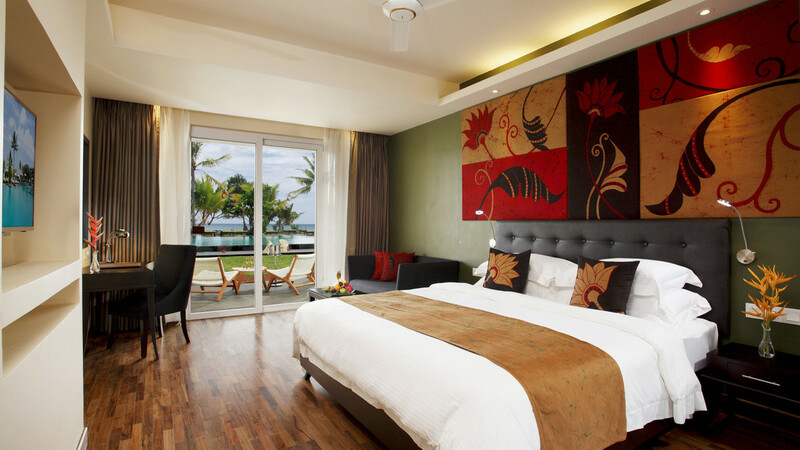 Most rooms have lovely views of the calm waters and unspoiled mangroves of Bentota River. Featuring either a king size or a double bed, there’s also a spacious bathroom with a shower. The maximum capacity is 2 adults and 2 children. Take your body and mind on a journey of rest and revitalisation at Centara Ceysand’s SPA Cenvaree. Offering an irresistible selection of authentic treatments, that combine Sri Lanka’s healing therapies with Thailand’s historic art of wellbeing. Signature treatments include Indian Head Massage and the Ceylon Ceysands and Sense massage. You’ll leave feeling like a new person. 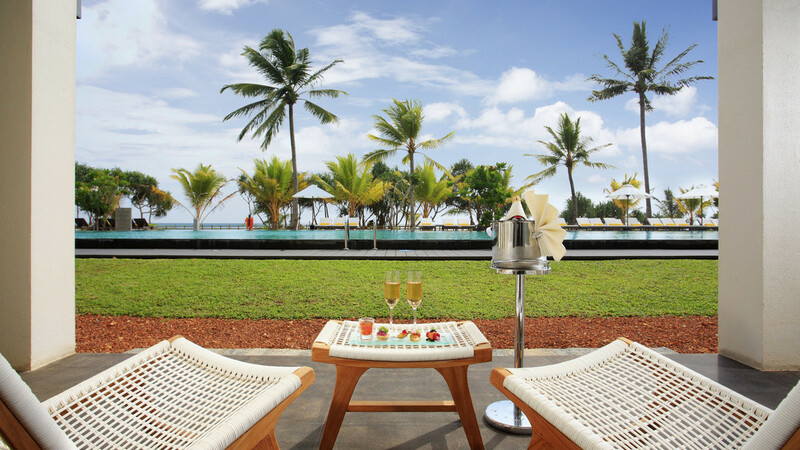 Dine overlooking the peaceful waters of the Bentota river. Open for every meal, this buffet style restaurant serves up a delicious mix of Sri Lankan cuisine alongside Asian and international favourites. There’s plentiful choice to fill up on at breakfast, making it a great choice to start your day with the energy you need. Evenings often include themed meals and there’s also the show cooking stations and a la carte menu if you fancy something different. Tuck into mouth-wateringly fresh seafood in this laid-back, modern restaurant. With stunning views on either side of the river and the ocean, it’s a perfect setting for a romantic meal for two. Flavours are a zesty mix of Sri Lankan specialities, and the restaurant is open for dinner only. Featuring an irresistible menu of Thai home cooking with a Sri Lankan twist, Suan Bua offers dining in a wonderfully relaxing environment. Try a refreshing spicy green mango salad, or a warming rich smooth curry. There’s a tasty list of vegetarian options available. Suan Bua is open for dinner only. Ceylon Club is the perfect place to sit back and relax with an authentic Sri Lankan cuppa. Serving a variety of snacks and refreshments throughout the day in the lovely laid-back environment. The unmissable highlight is one of Ceylon Club’s fabulous afternoon teas.